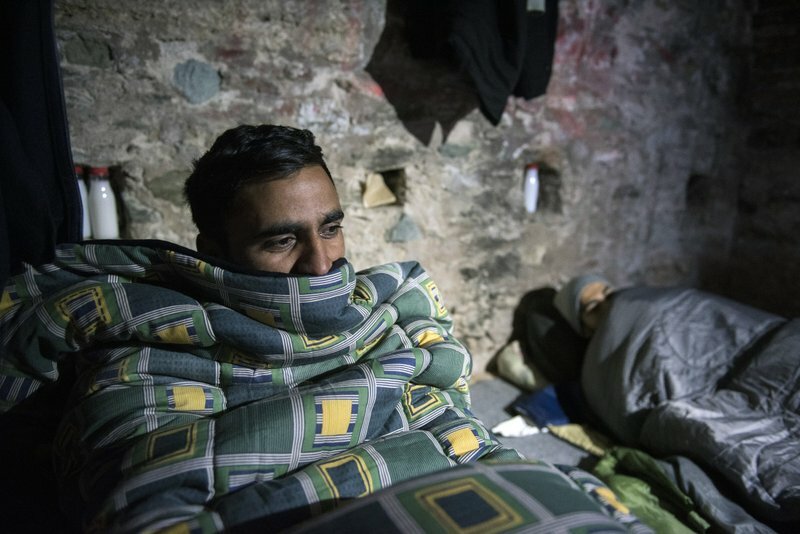 BARCELONA, Spain (AP) — Slouched on a bench at a Barcelona police station, five teenagers waited patiently on a recent Friday evening to find out where they would sleep that night: a shelter for young migrants or on that bench. “The volume of arrivals of children traveling alone in Catalonia has been absolutely disproportionate,” said Georgina Oliva, who heads the regional government office responsible for the minors. More than 57,000 migrants of all ages have arrived in Spain this year, most of them by sea, according to the UN High Commissioner for Refugees. That’s a 130 percent increase since last year, and means that Spain has overtaken Italy and Greece as the main entry point for migrants coming to Europe. Spain has adopted a more welcoming attitude toward migrants than many other European countries under the center-left government that took power this year. But not everyone concurs. An upstart far-right political party campaigning against migrants — particularly Muslims — recently won its first seats in a regional assembly in the southern region of Andalusia, the entry point for many migrants coming to Spain. Sixteen-year-old Alhadji arrived in Spain in July after fleeing poverty in his native Guinea-Bissau two years ago. He is among 110 underage boys from Sub-Saharan Africa set up in a hotel on the outskirts of Barcelona, where he shares a room with four other teenagers. On the wall hangs a photo of soccer star Cristiano Ronaldo wearing a Real Madrid shirt. In another part of Barcelona, a small group of young Moroccans inhaled fumes from a cloth damped with cleaning chemicals outside an internet café. The youngest was 11 and said he smuggled himself into Spain by hiding underneath a truck. Three of the boys said they had left their shelters in rural Catalonia and would sleep in the streets that night.